The property boasts four bedrooms, study, family bathroom, master en-suite, two large reception rooms, kitchen/diner, utility room, balcony with sea views and a court yard garden. Inside this home you will find a few surprises especially on the top floor with the vaulted ceiling, exposed beams and velux windows flooding the rooms with natural light. 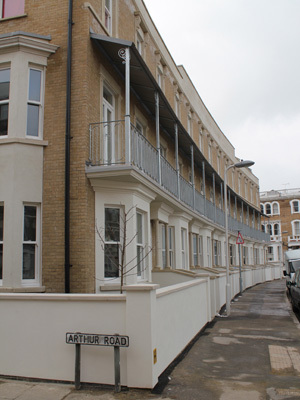 The balcony looks straight down the middle of Augusta road directly out to the English channel. Time care and attention has been taken on the finish of this property, which will make a fantastic family home. Dave Mairs looks at the scheme rejuvenating parts of Kent. 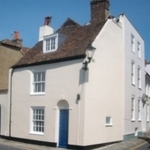 In 2005, Kent County Council began No Use Empty (NUE), aimed at getting abandoned and derelict properties back on the housing market, the success of which surprised organisres who this year celebrated their 3,000th restored home. No Use Empty (NUE), the empty homes initiative launched by Kent County Council (KCC) in 2005, has now returned a landmark 3,027 long-term empty homes to use. The milestone has been reached after a record year, in which the scheme successfully returned 583 long-term empty properties to use as much-needed housing. Over the course of 2013 KCC has approved loans totalling £2.5 million, making it a record year for investment. The scheme has received a total investment of £25 million, a third coming from KCC’s Empty Homes Loan Fund, and two thirds from owners and developers. To date, the scheme has delivered new homes at a cost of just over £8,000 per unit, a fraction of the cost of new-build properties. The 3,000 home milestone is significant as it means NUE has successfully tackled a third of the homes that stood empty when the initiative was launched in 2005. 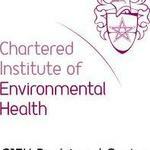 NUE was launched in partnership with four local authorities (Shepway, Dover, Thanet and Swale). Today all twelve authorities in Kent participate in the scheme, and in 2011 it was extended beyond the county with Bristol City Council and the West of England partnership launching their own empty homes initiative under the ‘No Use Empty’ banner. 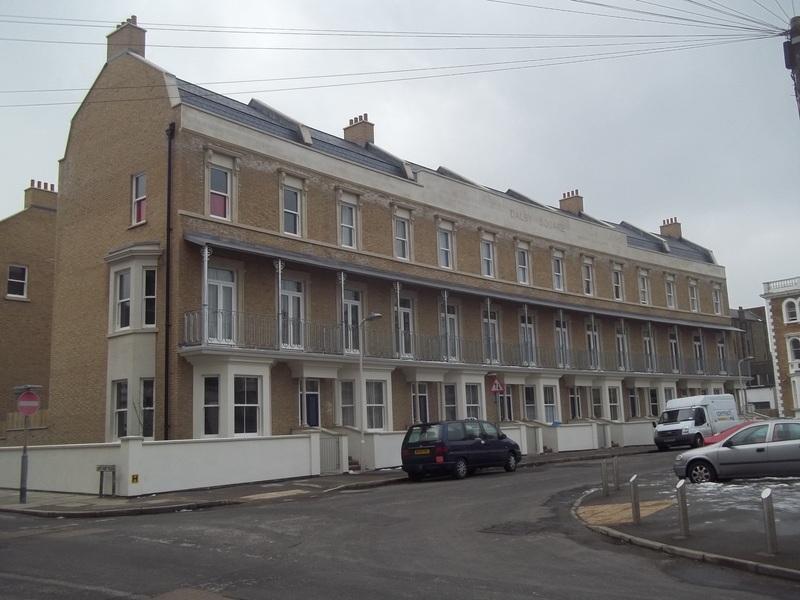 The NUE scheme offers interest free loans (repayable in three years) of up to £175,000 (£25,000 per unit) to those wishing to revive long-term empty properties. 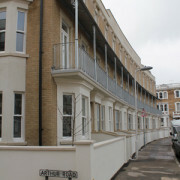 NUE has had further success this year, launching a partnership with social housing provider Amicus Horizon to create affordable homes, available for rent at 80% market value, as well as undertaking its largest ever project (by financial value) and first office – residential conversion, which is underway on Sandgate Road in Folkestone. NUE has inspired a number of other empty homes initiatives across the UK. Earlier this year charity Empty Homes and the UK Government launched the National Empty Homes Fund, which also offers loans to owners of empty properties to help fund refurbishment works. 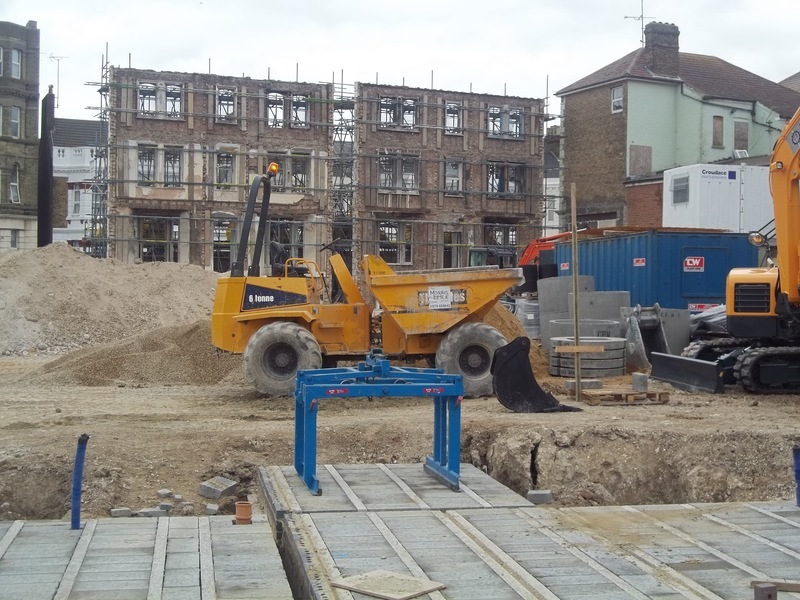 First project approved under NUE’s Affordable Homes Project is underway in Folkestone to create seven much needed Affordable Homes. 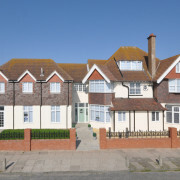 This freehold property situated on the seafront in the north end of Deal, with views overlooking the sea is a former residential care home built circa 1900’s remaining empty and boarded up for 5 years. Several previous attempts to refurbish the property have stalled. Extensions were added between 1970 and 1990 making the building part single, two storey and three storey. The new owners Marshborough Properties Limited, a family business (incorporated in 1996) bought the property in Oct 2012 and applied for a loan in order to assist in bringing this property back into use. Planning was approved to create 11 units (1 x 3, 7 x 2 and 3 x 1 units). Parking is also available and the units are now all available for private rental. Spacious, detached, family house in quiet village location but within easy distance of the parade of local shops, school and beach. Newly refurbished this property comprises : Entrance hall, large, dual aspect sitting room with patio doors onto terrace, fully fitted kitchen with walk-in larder, dining room, downstairs cloakroom, 4th bedroom/study, stairs down to utility room with access to the rear garden, stairs to Master bedroom with ensuite shower room, two double bedrooms and modern family bathroom.Integral garage, large rear garden and amply driveway parking. 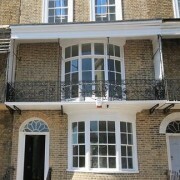 A No Use Empty Loan was awarded in order to bring this long term empty property back into use. 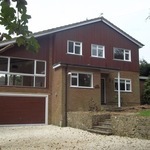 The property is being marketed by local agents Colebrook Sturrock. Come along to our Empty Property Open Day Surgery and get free impartial advice about how we can help you reuse your empty dwelling as quality housing accommodation. The aim of the initiative is to work with empty property owners to encourage the reuse of empty dwellings as quality housing accommodation. If you’re not sure which option is right for you and your property or you just want to know how to access certain services, then this is your opportunity to find out. 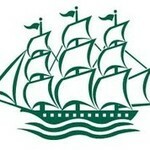 simon.doherty@gravesham.gov.uk to arrange a time. We will also showcase the Council’s first loan applicant who has just completed the refurbishment and are now offering the property for rent. 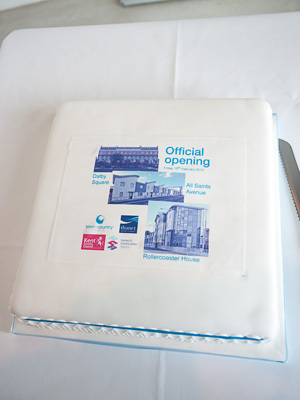 £5million worth of affordable housing opened by residents in Margate! 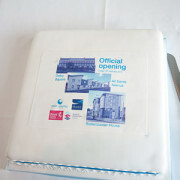 MUCH NEEDED AFFORDABLE HOUSING WORTH ALMOST £5MILLION WAS OFFICIALLY OPENED IN MARGATE ON FRIDAY (15 FEBRUARY). RESIDENTS OF THE NEW HOMES AT DALBY SQUARE AND ALL SAINTS AVENUE HELPED THE MAYOR OF MARGATE, CLLR WILLIAM SCOBIE CUT THE RIBBON TO OPEN 41 NEW HOMES. BOTH DEVELOPMENTS ARE PARTNERSHIPS BETWEEN TOWN&COUNTRY HOUSING GROUP AND THANET DISTRICT COUNCIL WITH THE GOVERNMENT’S HOMES AND COMMUNITIES AGENCY (HCA) PROVIDING FUNDING GRANTS. KENT COUNTY COUNCIL’S NO USE EMPTY CAMPAIGN WAS ALSO INVOLVED IN THE DALBY SQAURE PROJECT. 20 NEW HOMES ARE LOCATED AT DALBY SQUARE. 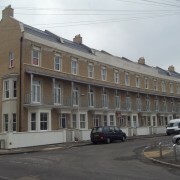 BUILT AT A COST OF £2.7M THE DEVELOPMENT PROVIDES 8 X 2 BEDROOM FLATS AND 12 X 3 BED HOUSES, ALL FOR AFFORDABLE RENT. THE DEVELOPMENT COMPLETELY TRANSFORMS WHAT WAS WIDELY KNOWN AS THE NUMBER ONE ‘GROT SPOT’ IN THE AREA – THE DERELICT WARREN COURT HOTEL IN CLIFTONVILLE. THE BUILDING IS INFAMOUS FOR FEATURING IN THE 1989 CHRISTMAS SPECIAL EDITION OF THE BBC’S ‘ONLY FOOLS AND HORSES’ – “THE JOLLY BOY’S OUTING” AS A DARKENED RUNDOWN HOTEL WHERE DEL AND RODNEY STAY ON A VISIT TO MARGATE. WARREN COURT HOTEL HAD BEEN EMPTY FOR MANY YEARS AND A PRIME TARGET FOR VANDALISM, SQUATTERS AND ARSON ATTACKS. 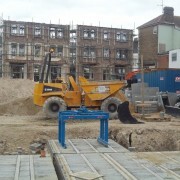 LAND ADJACENT TO THE HOTEL WAS ALSO GIVEN BY THANET DISTRICT COUNCIL TO ENABLE ADDITIONAL HOUSING TO BE PROVIDED. THE NEW DEVELOPMENT MAINTAINS THE ORIGINAL FACADE OF THE WARREN COURT HOTEL IN ARTHUR ROAD WITH NEW BUILDING BEHIND TO PROVIDE 8 X 2 BED FLATS ON THE ARTHUR ROAD SIDE OF DALBY SQUARE. SEVEN IMPRESSIVE NEW THREE BEDROOM HOUSES, SPANNING THREE STOREYS, EACH WITH THEIR OWN PRIVATE BALCONIES AND SEA VIEWS ARE ALSO PROVIDED ON THE FRONT OF DALBY SQUARE. THESE FAMILY HOMES ARE PARTICULARLY IMPORTANT IN CLIFTONVILLE, AN AREA DOMINATED BY FLATS AND BEDSITS. THE DESIGN INCORPORATES SIGNIFICANT DETAILS FROM THE SURROUNDING VICTORIAN BUILDINGS, TO ENSURE THESE HOMES ARE IN KEEPING WITH THE AREA. THE HOMES WERE BUILT BY CROUDACE PARTNERHSIPS LIMITED AND THE ARCHITECTS AND EMPLOYERS AGENTS WERE CHURCHILL HUI. https://www.no-use-empty.org.uk/wp-content/uploads/2015/10/1361979132.jpg 150 149 No Use Empty https://www.no-use-empty.org.uk/wp-content/uploads/2018/05/NoUseEmpty_logo_WINNER.png No Use Empty2013-02-27 14:52:102017-05-21 14:18:45£5million worth of affordable housing opened by residents in Margate!